This shows how hot your turbo's can get after a moderate run. More so, it shows why it is preferable to use a turbo timer to allow them to cool down. If you don't have one, let your car idle for 1 - 2 minutes before you turn it off! My personal experience - stay clear of the 1989 and 1990 Z's. Go for '91 or up as I've heard there were some "fixes" in the engine bay (sensors, injection etc) Not that the '90 Z is a bad car, you're just guarenteed to have less problems with the '91 and up. GroupZ An All American Z site! 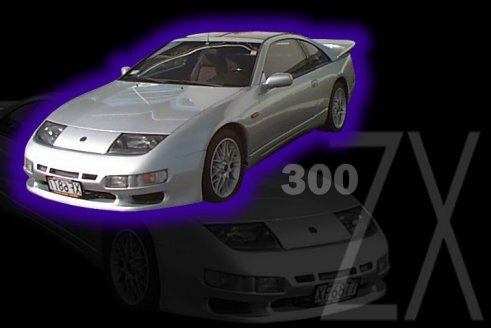 Nissan 300ZX M30Z Tommy Kaira Special Edition! HICAS High Capacity Actively Controlled Suspension - "4 wheel steering"
SGPRacing (USA) Shows staged upgrades They own the fastest Zed in the US! Stillen (USA) Steve Millen - designs the best of the best! TwinTurbo.Com Has a very good historical timeline of the Zed!